I know, the week before Thanksgiving and I’m in a posting frenzy! I just posted about pie, now I’m hoping to whet your appetite further with a glimpse into the Mission District of San Francisco, courtesy of Negra Modelo. 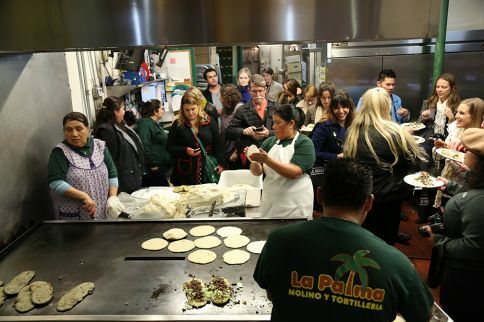 I and several other food bloggers were invited on a tour of some classic food establishments that represent the Mission’s Mexican culinary tradition. You can’t really make a claim to being a true San Francisco gourmet if you haven’t had an authentic burrito or taco in the Mission. Negra Modelo planned stops at three fixtures of the Mission food scene, and for added excitement they brought along chef Rick Bayless, famous for his love of Mexican cuisine, to provide his own expert insights! 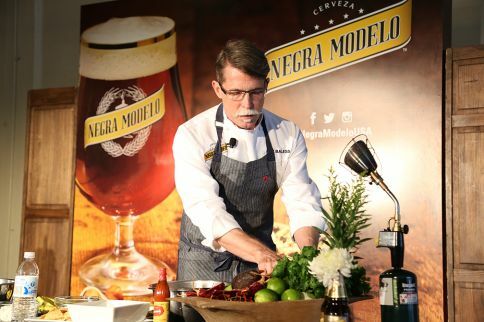 photo courtesy of Negra Modelo – can you spot Rick Bayless? Our first stop was a Mexicatessen, the Mexican version of a delicatessen, selling grocery staples and freshly made hot food. This place is famous for its tortillas, which are continuously being made throughout the day from freshly prepared masa. The difference between a fresh, handmade tortilla and a store-bought packaged one…there’s no comparison. 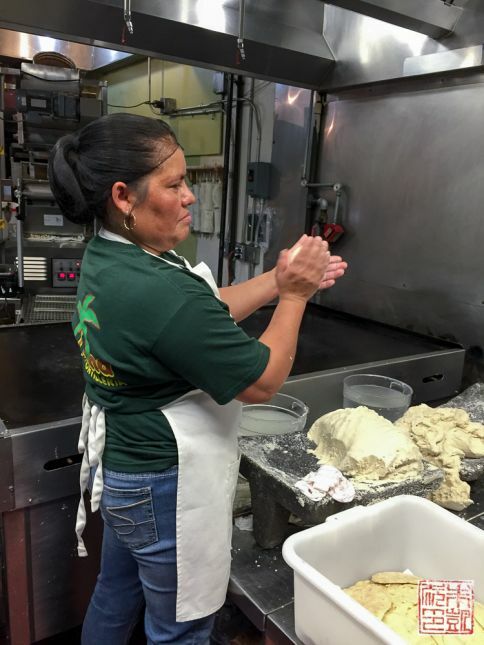 These admirable ladies are tortilla making machines! They also prepared some huaraches – fried oblong shaped tortillas made from corn masa – for us. 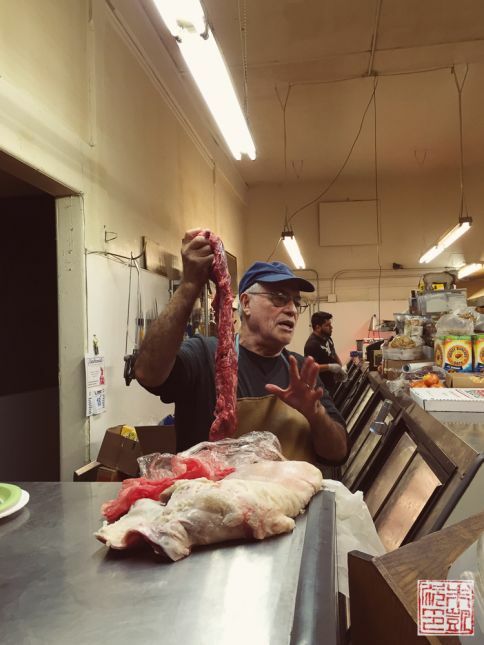 After the Mexicatessen, the next stop was another staple for Mexican neighborhoods – the meat market. The one we visited has been owned and operated by the same family for 40 years. Salvador Ramirez, the patriarch, spoke to us of how his trade has changed over the years. Back when he first opened his shop, there were very few other butchers offering the cuts of meat used in Mexican cooking. In particular, this cut, called flap meat, is used in carne asada, which was also a relatively unknown dish in the US back then. Now most butchers here know about flap meat, thanks in no small part to Salvador. What a great piece of history! Onto my favorite part – dessert! 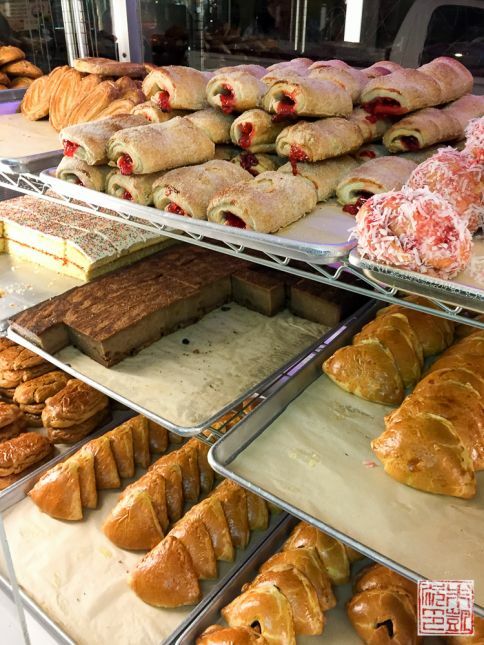 La Reyna Bakery is another family-owned business that has been providing traditional Mexican pastries to the community for years. I’m not super familiar with Mexican baked goods, so it was great to have someone explain all the different types of goodies to us. Our host, a third generation baker, said his favorite items were the bread pudding, custard empanadas, and vanilla cake with powdered sugar on top. We also got to sample some of the pan dulce (sweet breads), cookies, and cheesecake. Definitely I could have stayed to gorge myself all night! 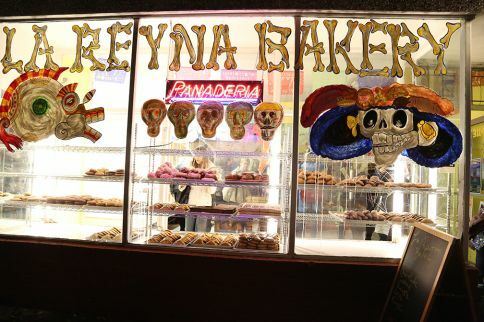 Although they’ll never stop making customer favorites, La Reyna is always looking to introduce new items – next year they’ll start making their own jams and jellies, as well as paletas – the Mexican version of ice pops. This is a place you’ll need several visits to fully appreciate. 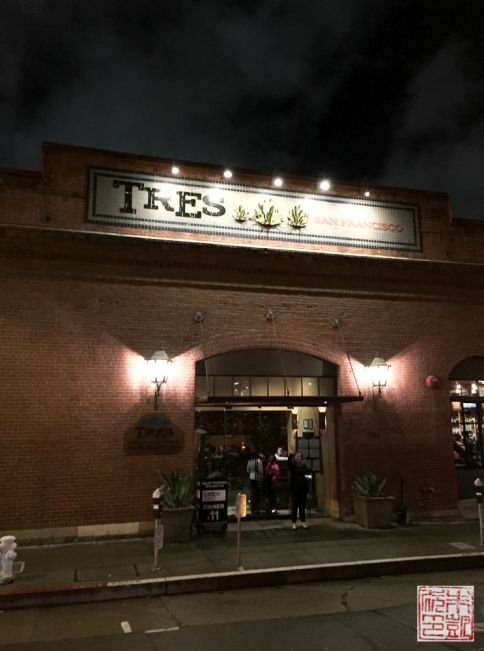 After the tour, Negra Modelo had a fun after party planned for us so it was off to Tres, a modern Mexican restaurant. 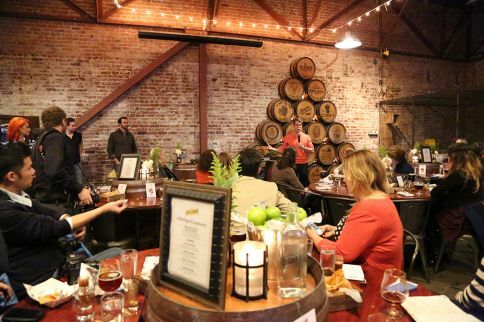 We had a whole back room reserved for some fun festivities, including a vending machine dispensing themed prizes, and Chef Bayless giving some demos and tips for working with several ingredients used in Mexican cooking. I learned that although most of us think of the Hass variety of avocado, creamy and perfect for guacamole, there are some varieties in the West Indies and Bahamas that are very low in oil and thus better for eating than for mashing up. Also, Rick Bayless’ best tip for making guacamole: it should never be made in a food processor or any other machine. It’s best made by hand! I also got a chance to speak briefly with Chef Bayless about how he used beer in his cooking. He said that he liked Negra Modelo because of its medium body and mild flavor, which made it easy to drink and to pair with a variety of dishes. One of his favorite dishes using it, in fact, is a chocolate ice cream made with Negra Modelo. I will have to try and recreate that some time! Thanks to Negra Modelo for including me on this Mission food tour, and to Rick Bayless for taking the time to educate us about his favorite cuisine. 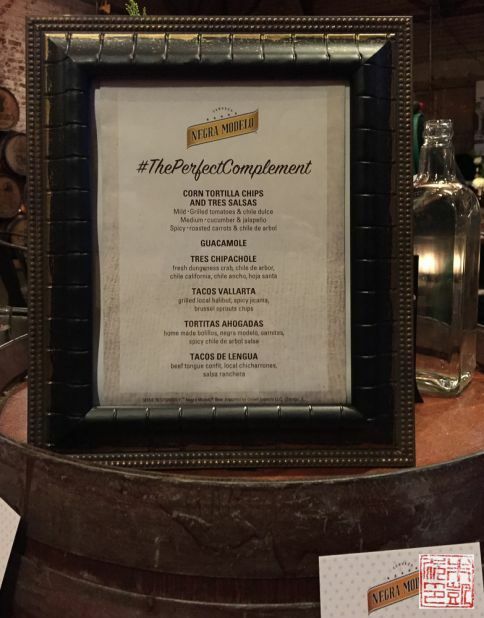 Visit Negra Modelo on Facebook, Twitter or Instagram and follow their hashtag #ThePerfectComplement for their pairing suggestions. I was compensated for this post but my opinions are my own. If you’d like to check out the other bloggers who came along on the tour, here they are! 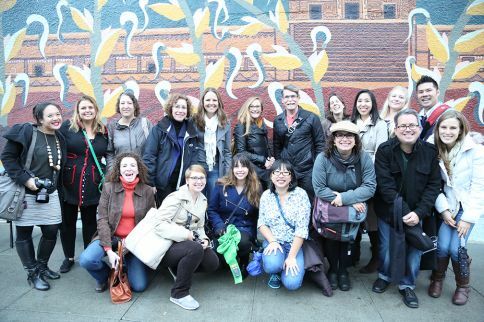 Some are good friends and some I’m glad to have met - we joked it was like an impromptu Bay Area blogger holiday party! I love Rick Bayless!!! How cool that you got to meet him. Seems like a fun event!! 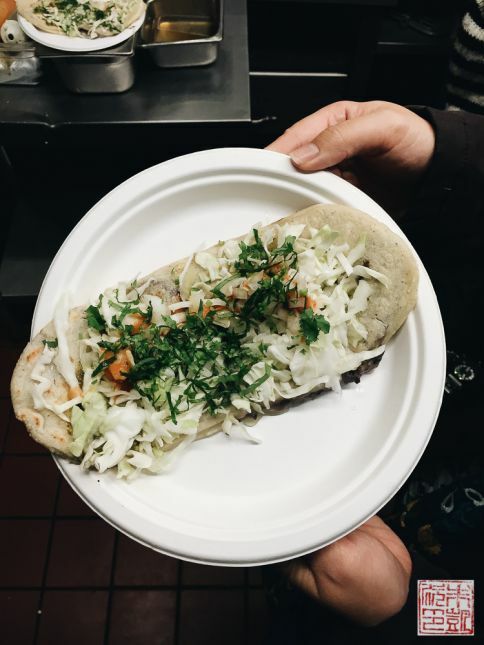 What a fantastic post – we just visited SF and walked around Mission for some good eats! Loved it! I’m drooling! Those tortillas look amazing! Such a fun opportunity to have participated in this tour, thanks for sharing your experience! Love all the action shots! Oh man, looked like an awesome event. I decided to not go, because I’m such a wuss with driving to the city lol. Oh this is awesome! So cool! I totally didn’t want to read this, but then I couldn’t help myself. I was invited on this trip too but had a super important work event I could not miss. And it looked amazing – a great experience and a great chef! So happy you were able to go and have a good time! I go to San Francisco often and am always looking for new places to try. Of course I was hooked with the freshly made tortillas! All for the guy holding intestines it looks yummy! this pretty much sounds like the food tour of my dreams! What a great looking place. Homemade tortillas are the best. What a cool tour!! I am not a foodie but am always hungry! How wonderful that you got so behind-the-scenes. I love it!! YUM! I definitely need to find a Mexicatessen! OMG the bakery – I totally agree. I could have stayed there all night and then some! Looks like an incredible day. Love traditional foods and markets that have been going for years! Wow! What a cool tour! Sounds like an amazing tour! Looks like a pretty fun event, minus the intestines! I get to meet Rick on Saturday! Can’t wait!! This sounds like so much fun! I love being able to hear the story behind foods and restaurants. What a great opportunity! Very cool! I should go on some tours like these! Yum! Fresh tortillas are the best, and the baked goods look delicious too! What a great place. The food looks amazing!